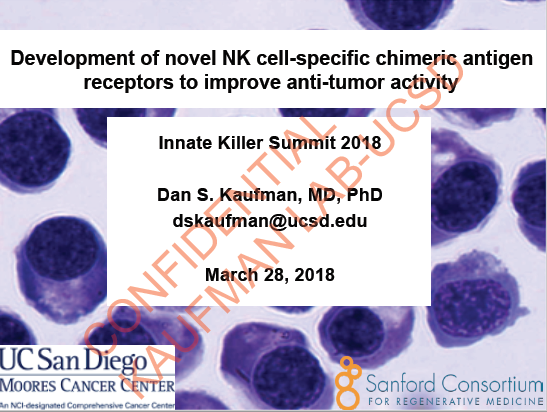 Development of novel NK cell-specific chimeric antigen receptors to improve anti-tumor activity. 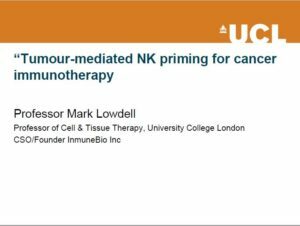 Tumour-mediated NK priming for cancer immunotherapy. 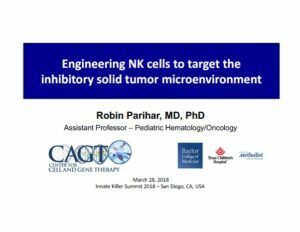 Engineering NK cells to target the inhibitory solid tumor microenvironment. 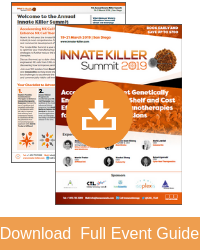 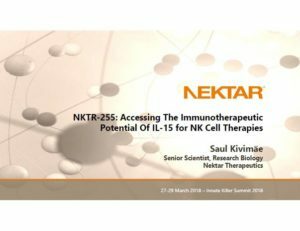 NKTR-255: Accessing The Immunotherapeutic Potential of IL-15 for NK Cell Therapies.